Information on this web site is not intended to substitute consulting a health care professional in case of any physical and emotional issues. All information contained on this web site, including information relating to medical and health conditions, products and treatments, is for informational purposes only. Obereg jewelry is offered as a supplementary alternative medicine tool which might or might not have any noticeable improvement effect and is used solely on the responsibility of the client, who fully understands that there are a lot of factors influencing life of each person and there is no way the crystal therapist could track them all and guarantee any positive effect. Safety note on self-healing: self-healing actions without proper crystal healing knowledge might be dangerous for health! There are crystals that can't be put in contact with skin, clothes and food, let alone used for elixirs (internal use). Also some combinations of crystals do not work well due to their conflicting properties / effects. Please, consult a specialist and reliable internet resources to be sure what you do is safe and beneficial for your health. I recommend visiting your doctor or health care professional before starting any alternative treatments, diets, supplements or exercise programs, unless you are 100% sure it is the right thing for you. 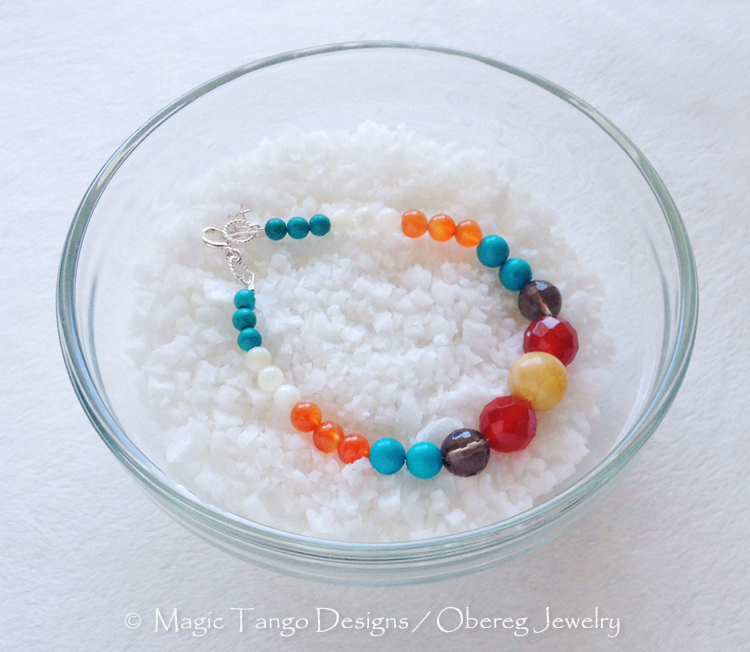 In case you choose to use MagicTangoDesigns OBEREGS and crystals for personal development and healing, you AGREE that you understand the chances and conditions, facts mentioned here. All personal information submitted through the website while placing the order or inquiry and discussed during the consultations is respected and kept private, unless special force-major circumstances require its disclosure. Relationships with the clients are of paramount importance to me and and it is an honor to have a chance to support you on the journey of connecting to nature and crystals. Content on this website is subject to change by the authors without any prior notice. Using crystals in personal development is a mystic experience and can tell on everyone differently, there is no 100% way to predict that as probably in any relationship in our life. When you give yourself a chance to connect to crystals and nature, you step into an unknown soil which might give some important insights and gradually transform your life significantly or you might prefer some other ways to connect to yourself and life. Thank you for your interest to crystals and obereg jewelry, your trust and possible collaboration.